A gift card drawing was held for New Albany Elementary students who had weekly perfect attendance for the month of October. NAES Principal, Jamey Wright, congratulates students the follow students (no particular order): Madison McDaniel, Kylen Knox, Tatum White, Caleb Bowling, Samantha Neathery, Sage Floyd, Peyton Garner, Cassidy Knox, Kariana Chandler, and Addison Vetovitz. 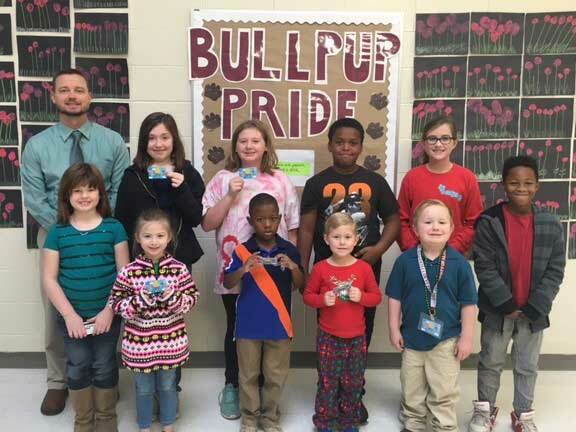 A gift card drawing was held for New Albany Elementary students who had perfect attendance for the month of November. Pictured are students who were winners from the drawing. 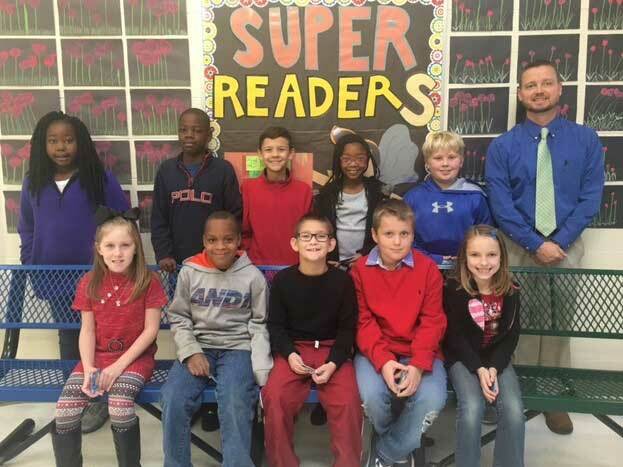 New Albany Elementary School Principal, Jamey Wright, congratulates students (standing, left to right) Jamilyah Smith, Decorion Hardin, Collin Nolen, Caitlin Jones, and Joshua George and (sitting, left to right) Morgan Hall, Z’kobie Harris, James Jones, Dawson Mosher, and Breezie Harvey.